When it comes to the academic career ladder, women are still at a disadvantage, accounting for 35 per cent of PhD graduates but only 23 per cent of junior level academic staff and 11 per cent of senior lecturers. Only 7.9 per cent full professors in engineering and technology are women. Soapbox Science, a science festival focussed on promoting and supporting women in science, aims to change this. It provides training, support and opportunity for scientists to directly engage with the general public, share their research and become role models. This summer, 90 female scientists will take their science to the streets of London, Exeter, Bristol, Swansea, Newcastle, Glasgow and Belfast throughout May and June 2015. The festival has two aims: to bring the opportunity to meet and interact with scientists to places you wouldn’t normally expect, and to increase the visibility of women in science. The importance of role models in both encouraging the next generation of scientists and supporting those already working in these male-dominated fields is well recognised. Soapbox Science helps challenge gender stereotypes that are established early in life by increasing the visibility of women in science and through locating events in popular public spaces like parks, high streets and beaches. 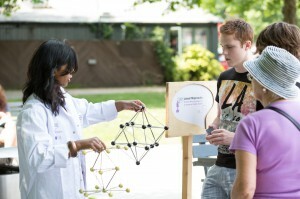 Last year, Soapbox Science events attracted over 2,000 members of the public, with feedback showing they not only enjoyed it – they plan to come again. 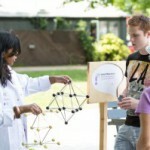 It’s clear that the public are interested in knowing more about science; 72 per cent of the general public agree that it’s important to know about science in their daily lives, and 68 per cent would like scientists to spend more time discussing their work with them, according to the 2014 Public Attitudes to Science survey conducted by Ipsos Mori. This year, you can expect to hear about everything from how to find a Higgs Boson to antibiotic resistant bacteria in London, from biosecurity in Newcastle to extremophiles in Belfast. These free events take place over May and June at weekends in London, Bristol, Exeter, Swansea, Newcastle, Glasgow and Belfast. 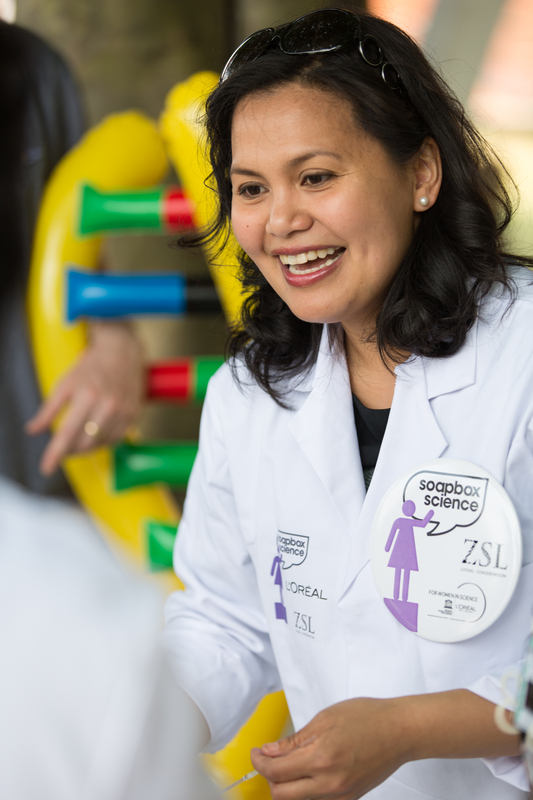 With speakers ranging from PhD students to Pro Vice-Chancellors, Soapbox Science represents the full spectrum of the academic career path, and gives speakers themselves the chance to meet and network with other women in science. Events are open to the public, free of charge, and great fun. Expect props, demonstrations and specimens, not to mention bags of passion and enthusiasm. The program is supported by the Science and Technologies Facilities Council (STFC), the Natural and Environmental Research Council (NERC), L’Oreal, the Zoological Society of London and the University of Bristol. Over 85 women have taken part in Soapbox Science since 2011, with a further 90 participating in the 7 events taking place over 2015. The program began with 1 event in London from 2011 to 2013. In 2014 the program expanded to 3 additional locations: Dublin, Swansea and Bristol. The program has expanded again to a total of 7 locations nationwide in 2015: London, Exeter, Bristol, Swansea, Belfast, Newcastle and Glasgow. There are plans for further expansion in 2016 and beyond. 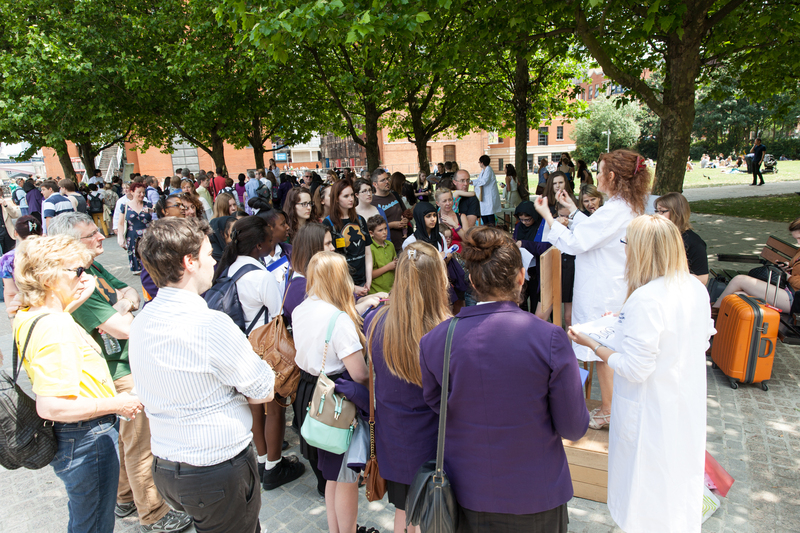 Over 5,000 people have attended Soapbox Science events since it began in 2011, with 85 per cent rating them as enjoyable or extremely enjoyable, over a third stating it had an effect on their awareness of women in science. The 2014 Public Attitudes to Science Survey conducted by Ipsos Mori noted that 72 per cent of those questioned agreed that ‘it is important to know about science in my daily life’, compared to 57 per cent in 1988. It also noted that 68 per cent of respondents agreed that they ‘would like scientists to spend more time discussing the social and ethical implications of their work with the general public’.